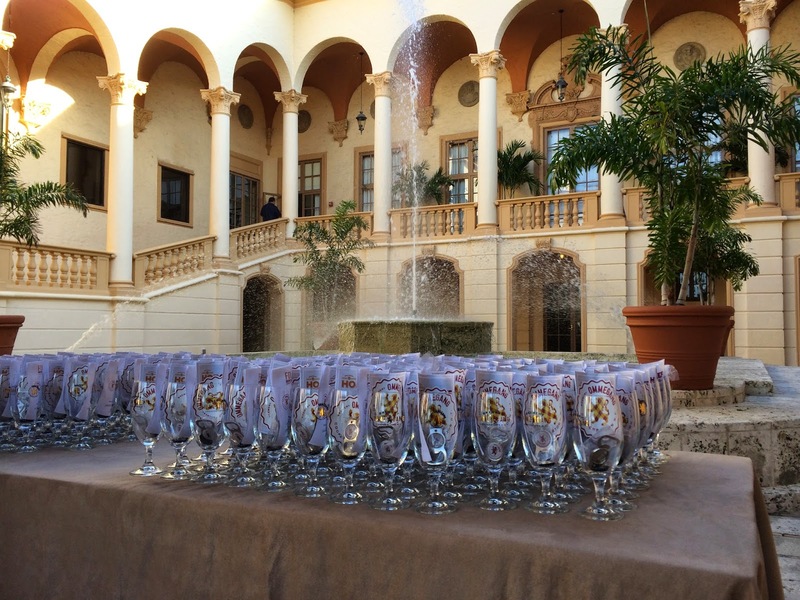 Last night I attended Brewery Ommegang's HopChef event at The Biltmore Hotel in Coral Gables, Florida. 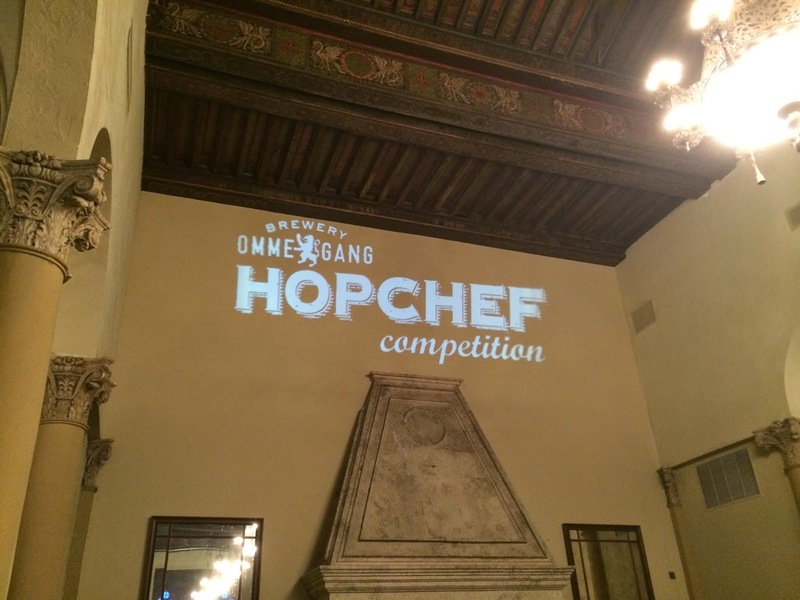 HopChef is a national competition where local chefs in multiple cities are given the opportunity to create dishes that highlight their culinary skills while challenging them to incorporate and pair Ommegang's beers with them. 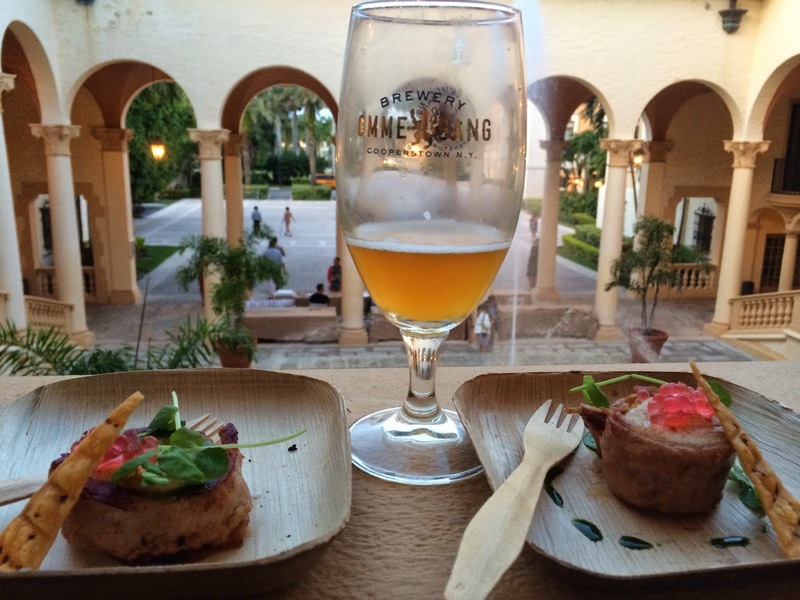 Eight Miami chefs DID NOT disappoint in their endeavor, using the brewery's Witte, Rare Vos, Hop House, Hennepin, Abbey Ale and Three Philosophers Quad beers. My wife and I arrived a little early as we had media passes. And there was New Times' famous writer Doug Fairall walking the parking lot with us. Guess what? You're going to need to read Doug's article (I'm in the video too) since we were so stuffed with food we left before a winner was crowned. 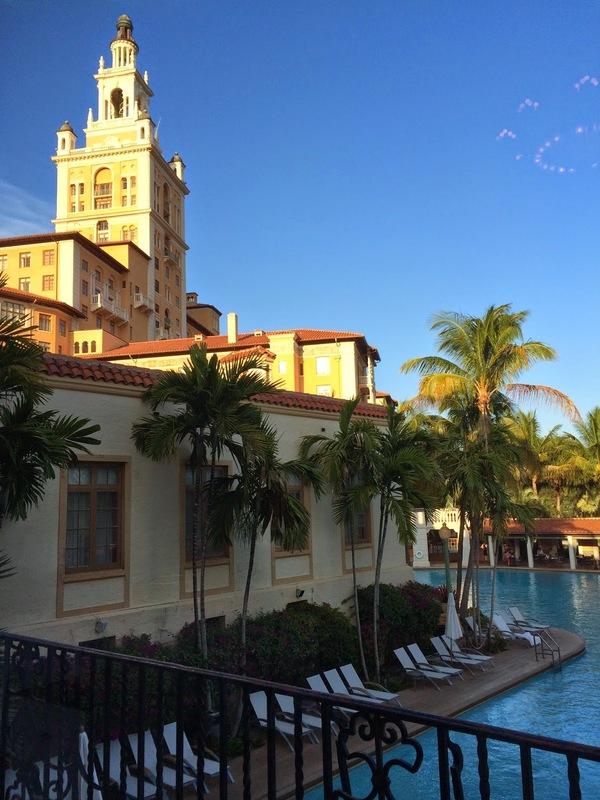 So The Biltmore! What else can I say? Beautiful hotel, lovely afternoon. I took a few photos for you since no one else ever thought of doing that before! 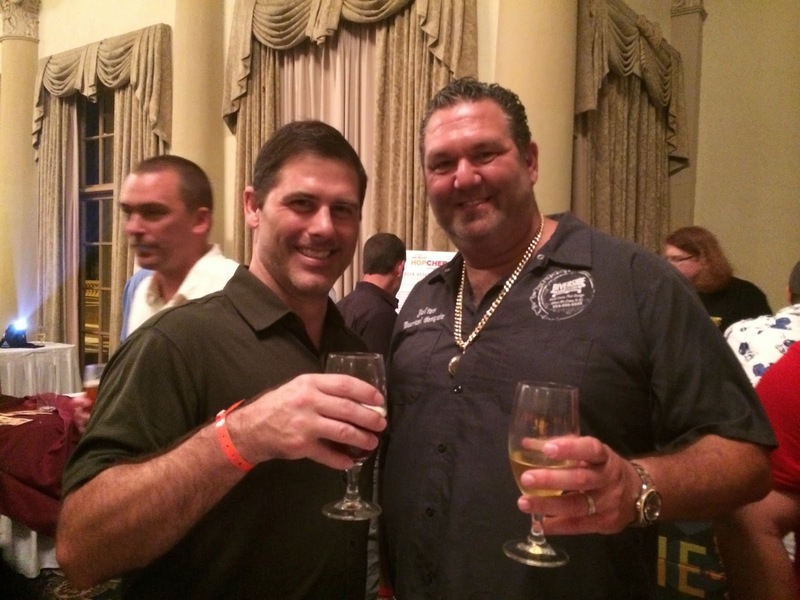 Before the crowd arrived, I was given the opportunity to meet some of the chefs, judges, and brewery representatives as well. 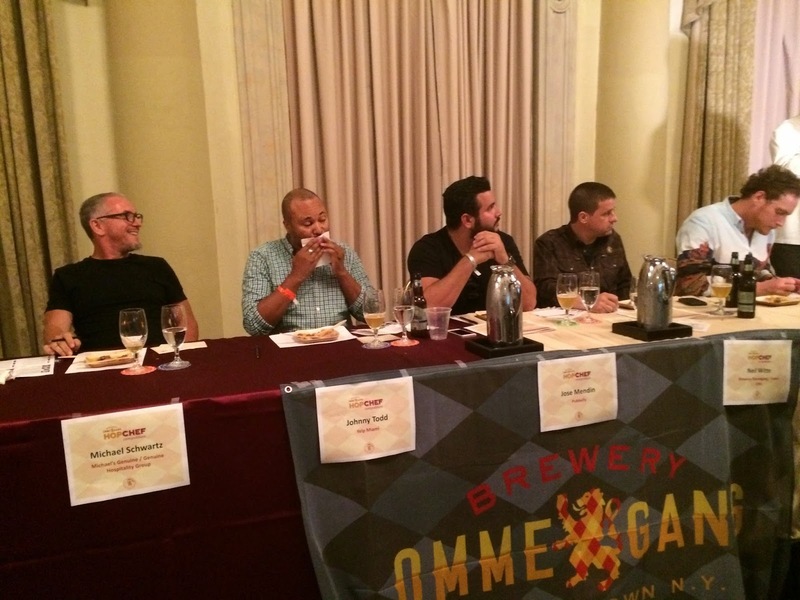 Ommegang's Market Manager Jessica Suarez introduced me to their Sales Director Steven Cardello, and Distributor Brown's Eric Pugh introduced me to Master Cicerone and HopChef Judge Neil Witte. Picture this... You are working for Boulevard Brewing for 16 years when Duvel buys your brewery. 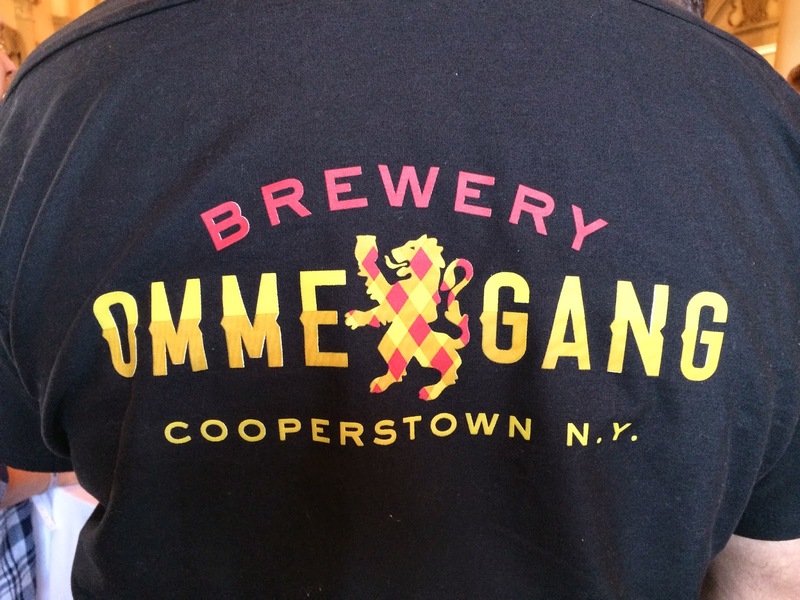 And Duvel happens to also own Brewery Ommegang which has a beer named after you. And now you're going to judge a competition that has that beer in it. Hmmm. Paraphrasing, Neil said that while Witte may not be his favorite Ommegang beer, it does hold a special place in his heart! 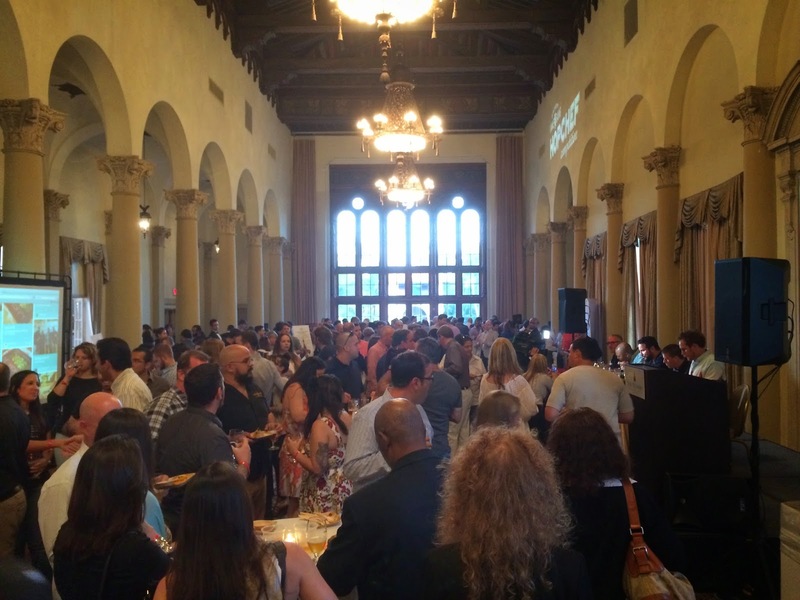 I recognized Chef Jose Mendin from his win at the Cochon 555 Miami event a few months ago. I think he was thinking "who is this guy?" when I started chatting with him. He seemed relieved that he was judging the competition rather than cooking his own meal for it. 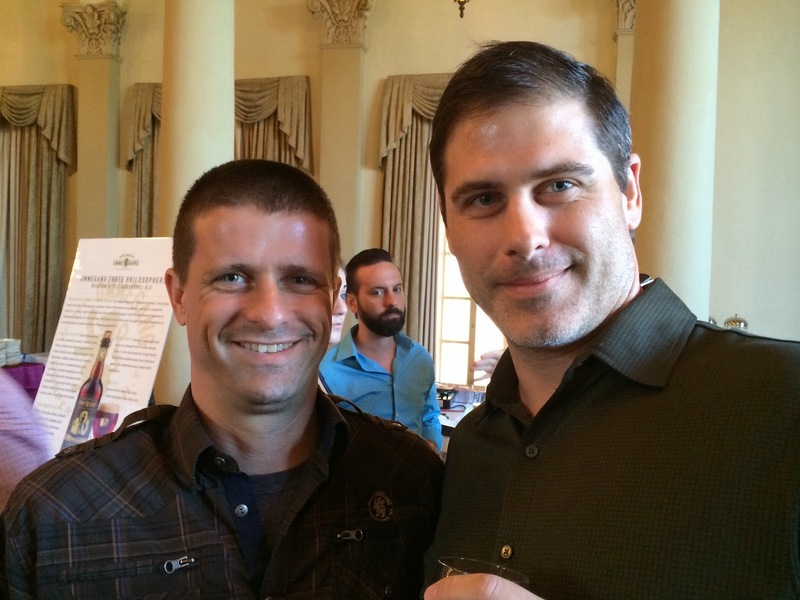 Brown Distributors was well represented including Adam Fine, and beer royalty Julian Siegel from The Riverside Market Cafe was also in the house. I hadn't seen him in a while, but he recognized me as one of the idiots that took the Stand-Up Paddleboard lesson in the marina behind Bimini Boatyard a few years back (wow I was fat). And there were other old and new friends we mingled with for the evening. 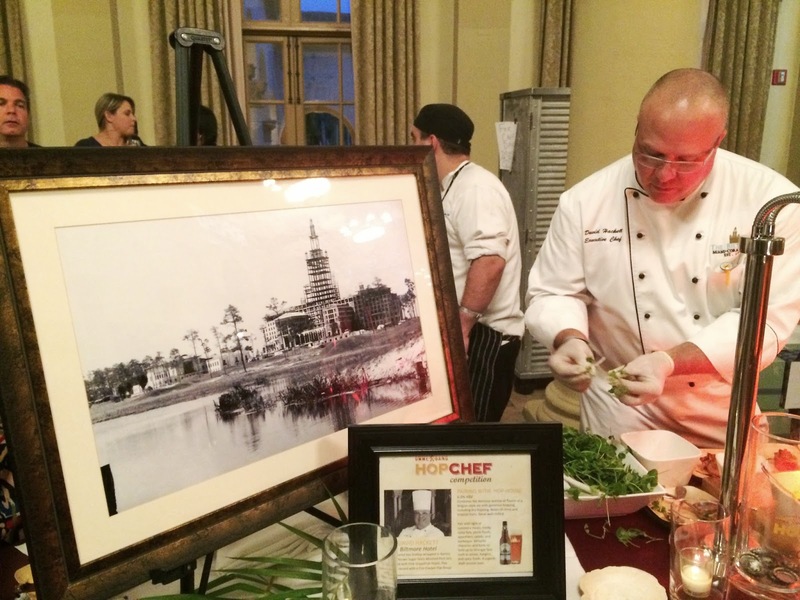 We tasted the dishes from all eight chefs. 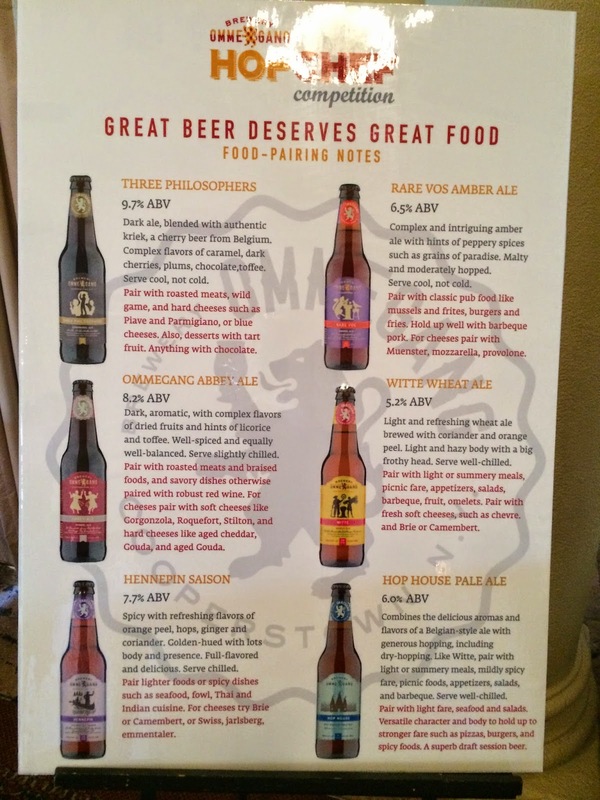 I'll admit that the beer pairing part got a little confusing since at some points we were still drinking the beer from the previous dish. 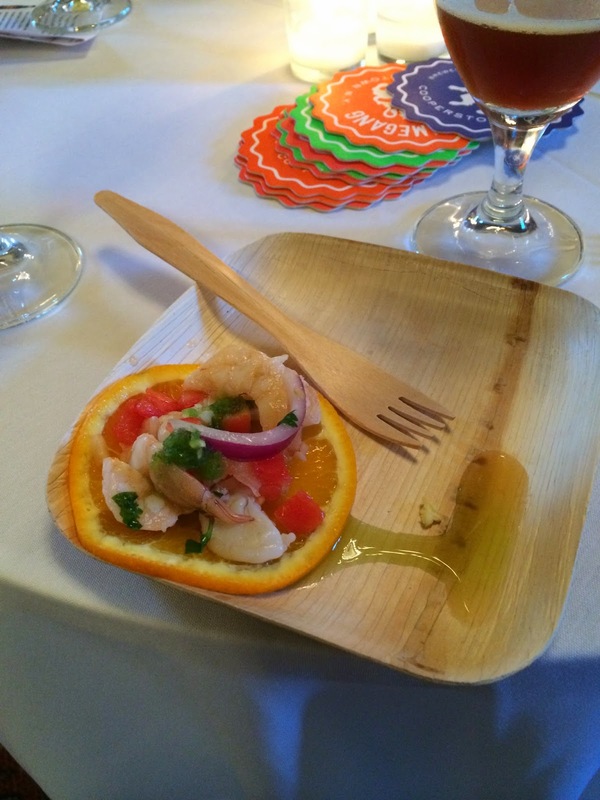 But I did enjoy all of the beers with the food, and most of the dishes also incorporated beer in them in multiple ways. I was also uncomfortably stuffed by the end of the night, though that is my problem. I need to learn that lesson still I guess. Chefs Jacob Anaya (OTC), Sean Brasel (Meat Market), David Hackett (The Biltmore Hotel), Alan Hughes (The Embassy of Well Being and Debauchery), Michael Meuse (Doubletree Miami Airport), Jason Pringle (DB Bistro), Michell Sanchez (Latin House Grill), and Andreu Silverman (Route 9) and their teams all put together excellent meals, though for my wife and me, three in particular stood out as the best (first time we agreed in a week, LOL). And like I already mentioned, I don't know who the judges crowned the victor. Each attendee was also given a bottle cap to vote for the People's Choice winner. Let me tell you about those three favorites in order for me. I felt like a judge on Chopped nit-picking at things just so I could decide this order as they were basically a dead heat. 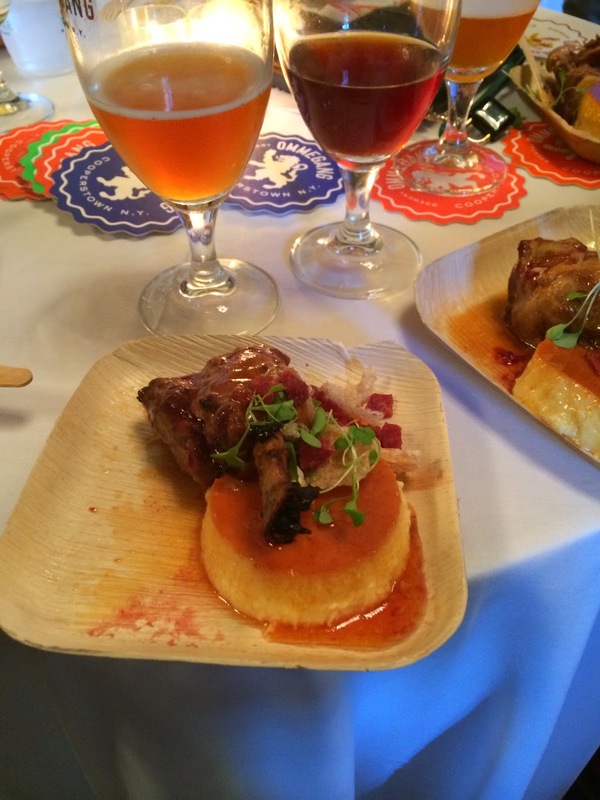 My vote went to Michael Meuse's "Wings over Mi-Hami," a Rare Vos Braised "Pig Wing" with Goat Cheese Flan, Chicharron-Chorizo Crumble and Rare Vos-Blackberry Gastrique. The meat fell off the bone, the juiciness was fantastic, the flan to die for! I was recognized for getting thirds by the chef! That's about it. 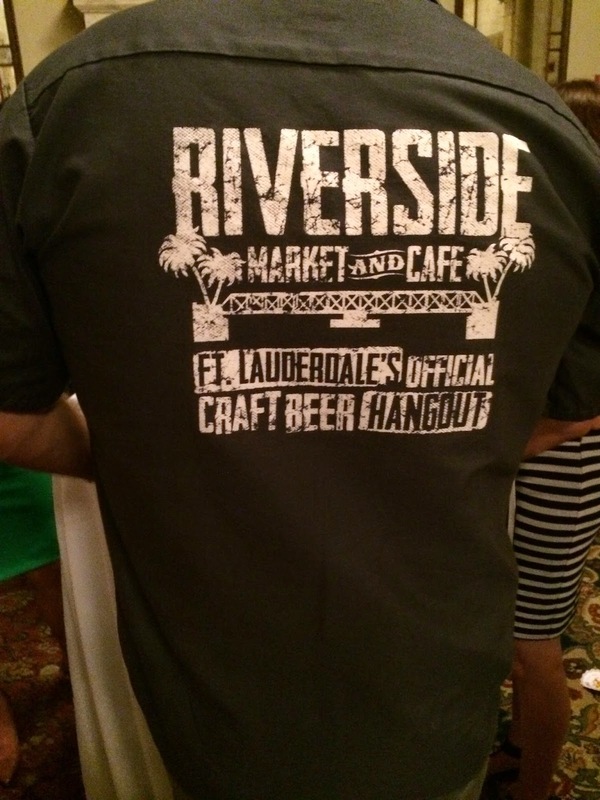 Great food, terrific beers, nice people. I'd love to go again next time! Steven Cardello wants to be in Neil Witte picture too!